For most of my teaching career I’ve included a unit on castles in either French 2 or French 3. Most students seem inherently interested in this topic, and each year when I put up the bulletin board the older students comment on how much they liked the unit. When traveling with students, I often choose an itinerary that includes the Loire Valley so that the students are able to visit some of the castles that they learned about. While a lot of my former activities focused on teaching students to identify various Loire Valley castles and memorize facts about them, I changed the focus this year. Instead, the students will begin by learning about medieval/fortified castles and what life was like during the Middle Ages. Time permitting we’ll also study the Renaissance and the Loire Valley castles, but having five snow days has really taken a chunk out of the time that I had planned to spend on this unit. As you will see, I am also using this unit to introduce my students to the imperfect tense. These students worked with the passé composé during their school and Martinique unit, so I feel like they’re ready for an introduction to the imperfect. At the same time, I want to give them additional opportunities to become more accurate with the passé composé, so I’ve included activities that will enable them to use each tense, although I won’t be focusing on using them together quite yet. 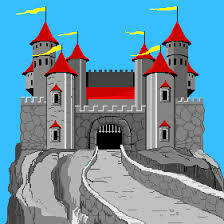 #1 Fortified Castles (2 days) Students will read a few pages from a French children’s book (p. 4/5, p. 6/7, p. 8/9) and complete an IPA-style interpretive task. After a short “Focus on Form” activity designed to focus their attention on the verbs in the reading, they will interview a partner about his/her childhood using the verbs that appeared in the reading. They will then complete a Venn diagram comparing their childhood to their partner’s. Next, they will watch an authentic video about medieval castles and complete a true/false interpretive activity. Due to the difficulty of the video, this will be a whole class activity in which I project the video and pause it when necessary to discuss the responses. #2 Castle Life (2-3 days) In this lesson the students will read another section from the same children’s book (p. 10, 11, p. 12/13, pp. 18,19) and complete another IPA-style interpretive task, along with a corresponding “Focus on Form” activity. They will also interview a partner using the new verbs that were presented in the text. As a follow up activity, they will fill in a Venn diagram comparing their own childhood to that of a child in the Middle Ages. Next, they will watch a video and complete a true/false activity. As with the previous lesson, this will be a whole group activity. Due to the content of the readings in this lesson, I included an additional presentational task in which the students will write a journal entry for a medieval teen who has attended a feast. I hope that by including this activity the students will begin to develop an idea of the differences between the two tenses. I will answer questions as they come up, but will not inductively present a lesson on these differences. #3 Castle Defense (2-3 days) This lesson will also begin with an IPA-style interpretive task over pages from the children’s book (p. 20/21, p. 22/23, p. 24/25p. 26/27) . They will then use the information they learned to write a journal entry for a lord whose castle has just been attacked. Next, they will watch another video and complete an information gap in which they describe a series of knight portraits. Following this activity, they will write another journal entry, this time for a knight who has just won a jousting match. I think these lessons will increase my students knowledge about the medieval period and they might even learn a bit of grammar along the way. This entry was posted in French 2 Units and tagged castles imperfect on February 21, 2015 by madameshepard. From Theory into Practice: A Novice-level IPA on food and mealtimes. So, we all know about best laid plans, right? 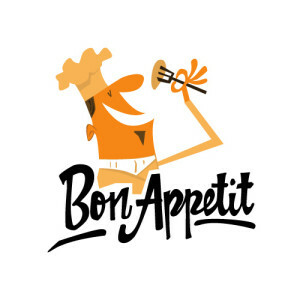 I had a very detailed (and lengthily) French Food/Mealtime unit all planned out. Then it snowed, and got really cold, and snowed again, and I ended up losing three days of school. Then, the administration moved up the date that our interim progress reports were due. As a result of these changes, my students weren’t going to have any major grades (IPA scores are 80% of my students’ overall grades) on their progress reports if I completed the entire unit as planned. So, I punted and wrote an IPA based on the parts of the unit that we had covered. Since we didn’t get to any of the restaurant activities, the IPA does not incorporate that context, but rather mealtimes in general. Here’s the IPA Food Unit IPA and a few comments about how IPA’s work in my class. As I mentioned in a previous post, the ACTFL guide doesn’t give a lot of direction when I comes to assessing listening on an IPA. While they suggest using the same tasks as for reading, this doesn’t work well in my classroom, where I have to rotate 28 students through the 8 computers in my room. That means that I must limit the amount of time required to complete the listening tasks. Therefore, on this IPA I’ve limited my tasks to several English comprehension questions for each video, as well as a few “Guessing meaning from context” items. I simply cannot give the students enough time on the computers to demonstrate their use of top-down processes such as identifying organization features, author’s perspective, and inferences. Grading: Because the Interpretive Listening ACTFL Can Do benchmark for Novice Mid students is, “I can recognize some familiar words and phrases when I hear them spoken,” I am quite liberal when assigning a score to this section of the IPA. I do not expect that the students will be able to correctly answer each of the questions that I have included, although I find value in providing items that will allow me to assess my students along a continuum of performance. Therefore, I assigned one point for each correct answer on this section, and then used the following scale to convert these points to a grade in my gradebook. (Note: Each assessment I give is based on a maximum score of 10.) Scale: 15 + = 11, 14 = 10, 12/13 = 9, 10/11 = 8, 8/9 = 7, 5/6 = 6, 4/below = 5 (I don’t give scores of less than 50%). Interpretive Reading: For this IPA I chose an article about a study on French adolescent eating habits. I liked the cultural content of this article and felt that it would be comprehensible to my students because it incorporated so much of the vocabulary that we had used throughout the unit. When designing the tasks, I incorporated all but the Organizational Features and Personal Reaction portions of the ACTFL template. I omitted Organizational Features, because of the straightforward nature of the article. I did not feel that the way it was organized contributed significantly to any lack of comprehension the students might have. I do not include Personal Reactions, which are written in the target language, as they do not assess the students’ reading comprehension. Grading: While I have relied heavily on the terminology used in the ACTFL Interpretive Rubric, I have modified the format in order to make it more user-friendly for my classroom. In order to end up with a final score on this section of the IPA, I have assigned a number to each of the descriptors on the ACTFL rubric. (I also added a 5th descriptor for each section.) I also placed the descriptors in each section, rather than in a rubric at the end, for ease in grading. This way, I can check the appropriate box as I grade each section, rather than flipping pages to find the rubric, or going back and rereading each section when filling out a rubric at the end. When tabulating a final score for this section, I rely on the terminology in the ACTFL Rubric. In my opinion, “Strong Comprehension” deserves an “A.” Because I assign a 4 to the descriptors in this category, an 80% overall would be an “A” on this assignment. Therefore, I graded this portion of my IPA according to the following scale: 32+ = 11, 30/31 = 10, 28/29 = 9, 24-27 = 8, 21-23 = 7, 18-20 = 6, 17/below = 5. Interpersonal Communication: For this part of the IPA, I called the students up to my desk in pairs, while the class as a whole was working on the interpretive portions of the IPA. The students were given three minutes to talk about their eating habits. I included a few suggested questions in English, to guide their discussion, but I did not expect them to ask or answer those questions exactly. In fact, few of the students would have been able to ask all of those questions correctly. Nevertheless, the majority of the students were able to continue their conversation for the entire three minutes. Although I had given them some time to practice with a partner the day before, I randomly choose their partner for the IPA when I call them up, so that no pair is able to memorize a dialogue. Grading: I do not find the ACTFL Interpersonal rubric to be well-suited to interpersonal tasks in my classroom. The wording seems much more suitable to an assessment of general proficiency, rather than a performance-based assessment over a specific unit. As a result, I have developed my own interpersonal rubric that I use for my IPA’s. Presentational Communication: In this portion of the IPA, the students wrote to their hypothetical future exchange student and described their eating habits. Although I usually assign a rough draft and provide feedback, I didn’t have time to do so before this IPA. I was pleasantly surprised at how well they did without this support. Grading: As with the Interpersonal task, the ACTFL rubric does not seem well-suited to a performance-based assessment, so I’ve developed my own. There is no doubt that my ideas about developing and grading IPA’s will evolve as I continue to use them, so I’ll continue to post as my understanding increases. In the meantime, I’d love to hear about how you use IPA’s in your classroom! This entry was posted in French 2 Units, Integrated Performance Assessments (IPA's) on February 8, 2015 by madameshepard. Lesson 1: Global Warming (2-3 days) I will introduce the students to the vocabulary associated with global warming by showing a Brainpop video. In addition to being authentic, these videos can be shown with option subtitles (click on the ST button). Although I would not allow the subtitles if I were assessing their listening comprehension, I think they are valuable when introducing the complicated vocabulary associated with this topic. An additional advantage to this resource is that the site includes a quiz based on the video which makes a great formative assessment. Although I will project this video on the screen, it could also be watched individually if students had an appropriate device. After the video, the students will read an authentic magazine article about global warming (Global Warming02072015, Global Warming 202072015). Although I would have liked to incorporate more current articles for this unit (the magazine is from 2007), I chose these articles because a)I had them, b)They are written at an appropriate level for my students, and c)They lend themselves to the types of extension activities that I wanted to include in the unit. I have altered the interpretive task so that the students are using French in the supporting detail portion. My goal is to begin preparing them for next year, when all of their interpretive tasks will be in French only. After the reading, the students will interview a partner about his/her actions related to global warming. As a follow up presentational activity, the students will write a note to their partner with suggestions about how s/he can be more ecological. Before assigning this activity, I will quickly point out the expressions of necessity/wanting and the subjunctive conjugations that I have included at the end of the packet. After the writing, the students will practice a role play in which a teenagers tries to convince his/her parent to adopt some of the suggestions given in the article. In general, I like to choose a pair or two to present their role play after giving the class time to practice. After the role play, I have included two additional videos and a song. I usually like to project any videos that I have at the beginning of the period, so I will probably use these before the end of the lesson—It just depends how far I get in each class period. Lesson 2: Pollution (2-3 days) As with the previous lesson, I’ll begin this one with a Brainpop video and quiz, followed by an article (Pollution 102072015, Pollution 202072015). After the article, the students will again interview a partner and then write him/her a message with suggestions. I am considering having them write these messages as e-mails/google docs, rather than on paper so that their partner can respond (in writing). Lastly I’ve included another role play and an additional video. Lesson 3: Preservation (2-3 days) As with the first two lessons, the students will watch a Brainpop video/quiz, read an article (Deforestation 102072015, Deforestation 202072015), interview a partner, write a message, and practice and present a role play. Although I haven’t yet created all of the materials, these lessons will be followed by a series of activities designed to prepare the students for a culminating project on an endangered animal. Stay tuned for these materials! 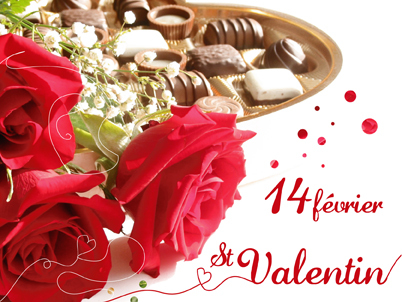 This entry was posted in French 3 Units and tagged environment on February 7, 2015 by madameshepard. As I explained in a previous post, I decided to introduce the passé composé with my French 2 students in a different way this year. Rather than explaining the rules for choosing the correct helping verb and past participle, I gave them a series of questions and answers that they used to interview each other and provided input by introducing readings and comprehension questions that were written in passé composé. I had no idea how the students would react to this unit, but I was pleasantly surprised. Nearly all of the students were able to successfully discuss what they had done at school the previous day using comprehensible sentences. While some students made occasional errors in choosing the correct helping verb during their conversations, they were still able to express their meaning. I was somewhat surprised to find that the students were less accurate in their written work. More students totally omitted their helping verbs when writing than when speaking. Day 1: Students read an infographic about Martinique and complete an interpretive task. In addition, they begin work on a guided note-taking activity designed to introduce them to a few simple rules about forming the passé composé. Day 2: Students completed an interpersonal activity (Guess Who game) to familiarize them with the vocabulary for activities that people do while on vacation in Martinique. After they played the game for about 20 minutes, I gave them a formative assessment in which I made 10 true/false statements about Nicolas (the first “identity” on the game paper). The students also finished the guided note-taking activity. This is what I have planned for the rest of the unit. 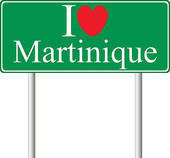 Day 3: We will watch a short video about Martinique and the students will answer comprehension questions. They will then complete an interpersonal activity in which they describe what they did on vacation to a partner who will select the appropriate vacation pictures. Lastly they will complete a worksheet which requires them to write sentences about what various people did in Martinique. Day 4: Students will watch another video and then complete a cooperative activity in which they work with a partner to put historical events in chronological order, based on information in each of their articles. Day 5: Students will read an article about vacationing in Martinique and complete an interpretive task. This will count as the interpretive reading portion of their IPA. Day 6 and 7: Students will use Ipads to research various places and activities in Martinique for their virtual trip to Martinique. They will then complete a journal of the activities they did each day of their trip. Day 8 and 9: Students continue working on the rest of their IPA, which includes the following tasks: 1)Presentational Writing: Blog entry about trip to Martinique, 2)Interpersonal Speaking: Discuss trip to Martinique with partner, 3) Interpretive Listening: Video about Martinique. Day 10 and 11: Students will present their trip to Martinique to the class using a Google Presentation of photographs from their trip. This entry was posted in French 2 Units, Integrated Performance Assessments (IPA's) and tagged martinique on February 1, 2015 by madameshepard.